You are here: Home » Not the day I had hoped for…. Not the day I had hoped for…. Today did not turn out as I had expected and hoped. I am not sure why but it is worth looking at the last 6 weeks to try and figure this out. In late March, after finishing the Winter Series, my legs were tired and I was not particularly motivated to run the Caesar Rodney Half Marathon. The tired legs and lack of motivation showed and I had a terrible day. I ran a 1:23 which was over three minutes slower than my last half and I was not happy. I looked around to find a coach to help me change things up and get me ready for the Maccabi Games in July. Johnny Marino came to the rescue and and started coaching me a weeks later. We took one week to get the race out of my system and then Johnny started working me. There was a mix of speed and tempo. Some was faster than I had been running and some not. The big difference was more quality work versus just logging miles. 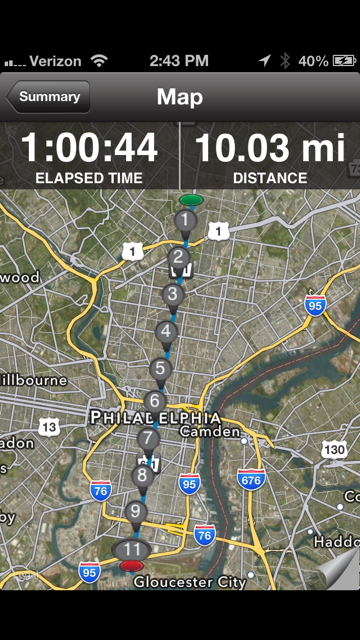 After two weeks I felt fairly tired so Johnny mixed it up a bit to try and get me ready for the Broad Street Run. The last two years I have run about 59:30 having run the Boston Marathon a few weeks prior. This year I was doing more quality and did not have a marathon on my legs. That said, I still had the same post winter serious dead legs although I did feel better this week. Looking back though I did have trouble hitting some of the times Johnny expected in my workouts which should have been a warning sign. So all that said today I ran a minute slower than last year. A minute slower?? It just does not seem to make sense. Now one thing in common between this race and the CR Half Marathon was the 5:35 opening mile. Perhaps if I went out in 5:50 and moved off of that I might have felt better. 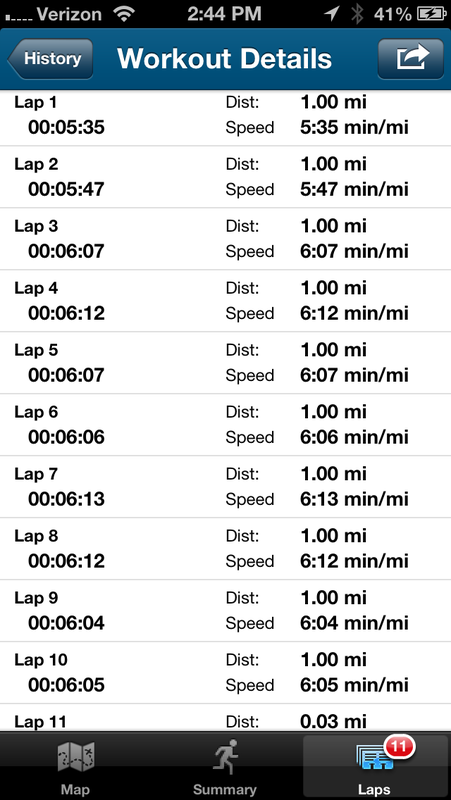 I hit the second mile in 5:48 (which was my goal mile pace) and then did not have another mile under 6 min pace. Begin stuck at the start for so long does lend itself to hammering early in a long race. After 2 miles I just did not have zip and seemed to lack some toughness too. It hurts to run poorly in a race that is so public too. Everyone knows I ran like junk and then I get the, “you still ran great.. I could never run that fast.. blah, blah..”.. Honestly, I so not want to hear that I should lower my standards because others have not run that fast. I wish someone would just come back at me and say yes, you ran like crap. Now go do something about it.. The question is what do I do about it. The crazy thing is my legs feel good now, like there was more in the tank. Maybe there was.. I believe that I have not been on Johnny’s program long enough to really see positive effects. I have been on it long enough to get tired. Maybe just stay the course? What also made today complicated is that is is May 5th. May 5th is a day that has one of the best moments of my life, the day in 2001 that Leslie and I got married. That was a perfect day. It is also the day my father died. That was a very tough day. I was hoping today to have a great run for him. Today I let him down and that kills me..
What I do know is that I have 9 weeks to be ready to race much better. This is a race I know my dad would want me to do well in . Me running in the Maccabi Games would mean the world to my dad. I can’t let him down again. I need to race well. Can I do it? I have to believe I can….